“What was it like?” is the question I get the most, from KC’ers and curious friends alike. 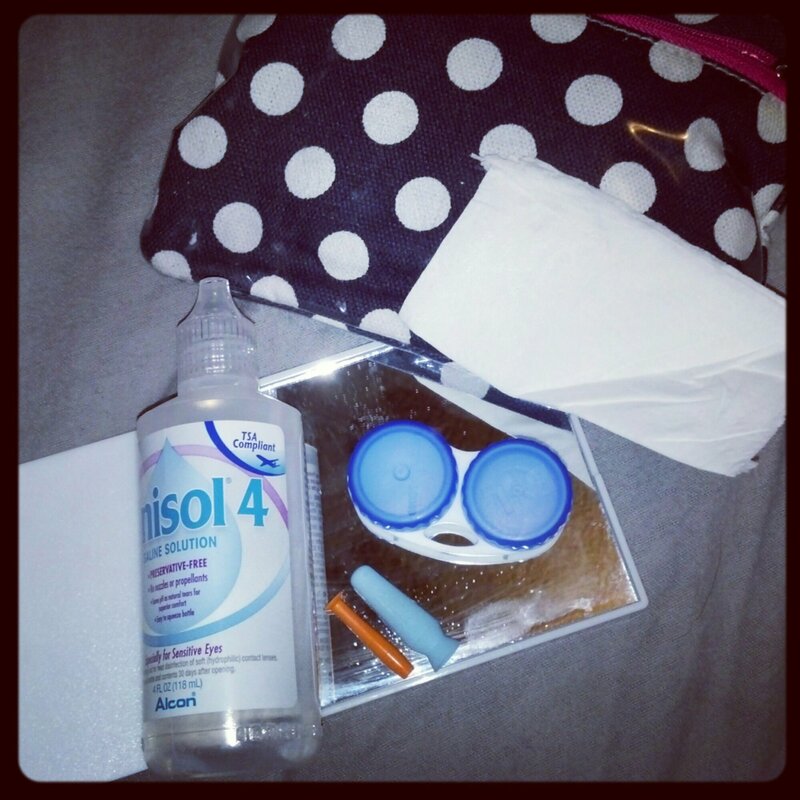 Because of the many requests, I decided to write about the day I had my corneal transplant. I started getting ready around 6. I put on a button up, like I had been instructed to , sweats and slippers. Soon enough my friend Sarah came over and brought me a stuffed animal. She is good at this kind of stuff, she is a nurse after all. We sat in my room and waited for my mom to get ready. We talked about the surgery and I confessed that I was scared that I wouldn’t be fully asleep. When we got there, Sarah got to talk with the anesthesiologist and the surgeon. I couldn’t help but smile, having her there sure helped me feel more comfortable. Its been over a month since I’ve been using the mini scleral lens and things are going well. Tons of products for my eyes! Its scary how dependent I am now on all these products 😦 But c’est la vie. Mirror, solution, plungers, backup soft contacts, tissues, q-tips, and alcohol wipes. What a pain!! All in all things are finally improving. I did go for a regular checkup and the Dr ordered me a different prescription, not sure why. I feel I can see very well with the ones I have. I’ll have to go back in next week, not dreading it like before though. Beautiful Brown Eyes & Are you drunk? Today I was hanging out with a friend and they said something that really upset me, “I wish I had your beautiful brown eyes.”. In retrospect I shouldn’t have snapped and went off on them. I should have accepted their compliment, smiled, and thanked them. But no. I went on a rant– a long unnecessary rant. That was only prolonged when I was asked, “why don’t you just wear glasses?”. Smh. I wish it were that simple. I think back when glasses were enough to correct my vision. A much simpler time! I’ve been repeatedly told I have beautiful eyes. But what good are they if I can’t see? 😦 Thinking this makes me feel sad and worried about the future. What if mini sclerals aren’t enough? What then? I’m petrified at the idea of a cornea transplant (cue Jessica Alba’s stupid movie). Is this going to get worse? 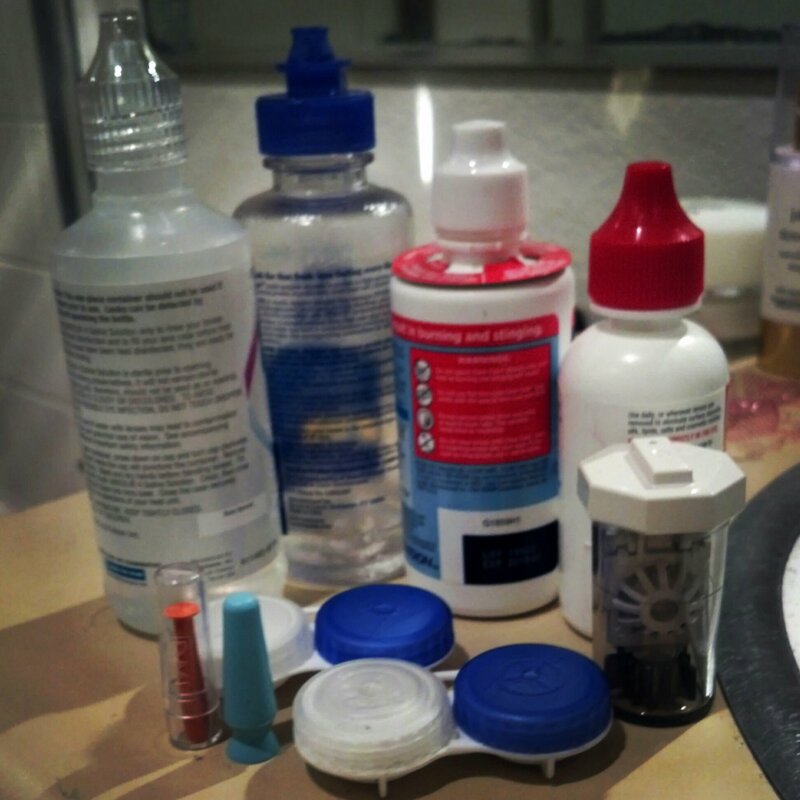 So I finally un-lazied myself and made a new blog to whine blog about my Keratoconus. I’m Avarielle, 27 years old, and I living in the hot, sunny, and humid land of Singapore. Most of my hobbies involve having a decent eyesight, namely astronomy and photography. I got diagnosed with Keratoconus in August 2012, and so far things have been okay-ish. My doctor has sort-of scheduled me for crosslinking on February 12th 2014, but that is not confirmed yet. Because one of my friends said that keratoconus sounded like the name of a dinosaur. And it just became a thing to refer to my eyes as dinosaur eyes. So today was 9 months since my surgery. I had a doctor’s appointment as well. I was hoping for some glasses or contacts and guess what? Turns out not all of the sutures were out after all, so he pulled out one or two more. My eye is a bit bothersome because of that, nothing big though. He tried the thing that simulates glasses (sorry for the horrible wording, I have no clue what it’s called) and I saw okay, but nowhere near as good as I had hoped. He said I wasn’t ready for glasses or contacts yet, and gave me another appointment for March 3rd. Another three months till I can (MAYBE) get some glasses. Three more months. I feel like I’ve waited a lifetime. Hopefully it’ll be worth it. This has been an intense, exciting and emotional month for me and my fam, starting with my eye surgery 4 weeks ago today. After this very successful surgery, my brain processed the results far faster than my heart. The magnitude and wonder of what occurred took a couple weeks to really hit me. But then two Sundays ago, I was sitting in Mass in Puerto Rico (I know, tough life), and I was reminded suddenly, poignantly, of a little girl sitting in a chapel in Lourdes, France, praying as hard as she could for a miracle and for healing.